As a writer, and avid reader, reviews are a big part of my life. I'm either doing them, reading/watching them, or hoping that people will post one for my books. One thing I've noticed over the years though is that not everyone feels comfortable posting reviews. A big part of that is because they don't really understand them. They don't know what they should include, and have no idea just how powerful a review can be. Without knowing the What, Why, and How, people shy away from reviews. Well, I've decided to solve the problem with a quick, free, webinar. 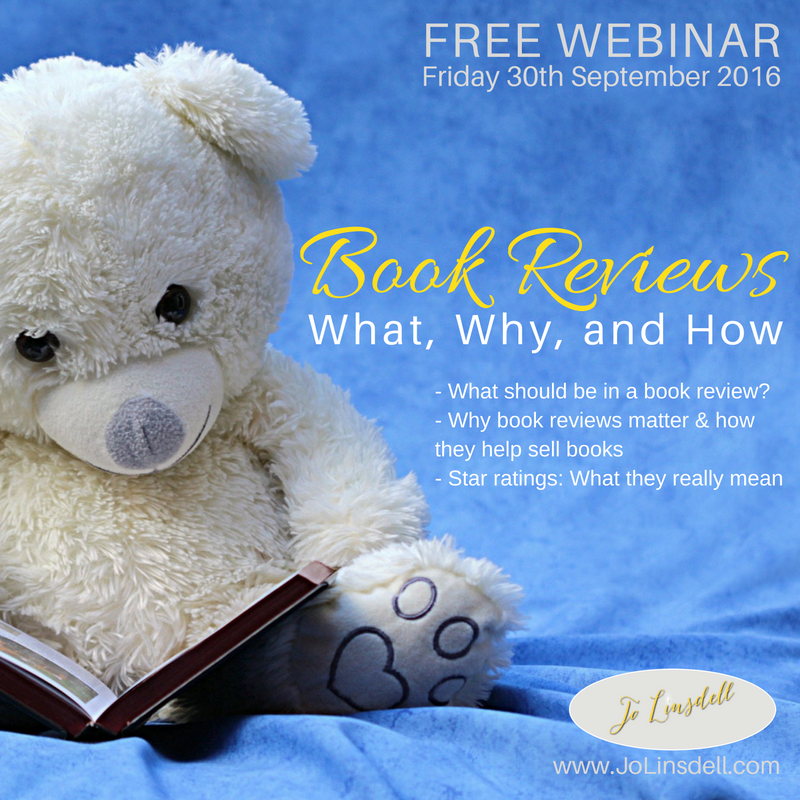 On Friday 30th September I'll be uploading a free webinar to https://www.youtube.com/user/jolinsdell (and, of course, posting it right here on the blog too) called Book Reviews: What, Why, and How. There is no set time for the webinar and as it will be on my Youtube channel you'll be able to watch it whenever it's most convenient for you. 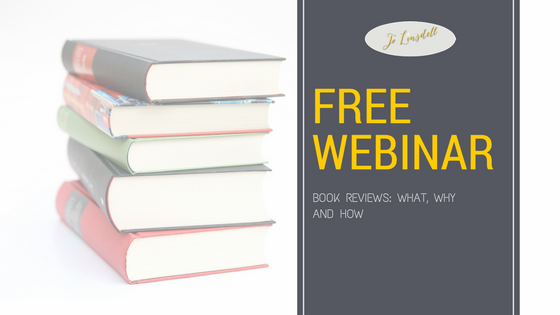 I hope that this webinar will encourage more people to post reviews. This webinar sounds interesting. Thanks Jo. Hi Angela :) The webinar will be uploaded to my YouTube channel on 30th Sept. Hope you'll tune in and watch. I will. I've been wondering for a while hot to do it properly. Thanks for the chance to learn this.